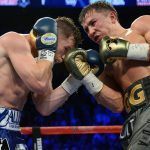 Gennady Golovkin comes into Saturday’s middleweight championship fight against Saul “Canelo” Alvarez as the consensus favorite in the highly anticipated rematch of their September 2017 bout. 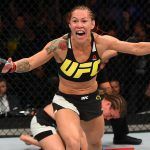 That first encounter ended in a controversial draw, leaving both fighters with plenty to prove when they meet this weekend at the T-Mobile Arena in Las Vegas. At bwin, Golovkin enters the fight as a -161 favorite, while Alvarez is the underdog at +130. That’s a line consistent with their first fight, which ended in a stunning split decision draw after most observers felt that GGG had earned a close but clear victory. 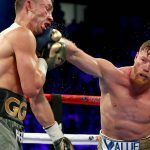 While one judge gave the fight to Golovkin and another determined it should be a draw, the third gave an overwhelming advantage to Alvarez, something that few – if any – independent observers agreed with. That sets the stage for a dramatic rematch this weekend, with both fighters looking to cement their legacies. At 36, Golovkin (38-0-1, 34 KOs) has a chance to add one more signature win to his resume, which could put him in the discussion as one of the greatest fighters of all time. Meanwhile, the 28-year-old Alvarez (39-1-2, 34 KOs) is still in his prime and is considered one of the top pound-for-pound boxers in the world. But this fight could be critical for his legacy, as most fans feel that he should have lost the first bout against GGG. Boxing is infamous for hyping their matches through dramatic pre-fight encounters between competitors. 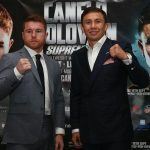 But at a Wednesday news conference, both Golovkin and Alvarez looked to be calm, cool, and focused on the fight rather than attention-seeking hysterics. In fact, the fighters didn’t even pose for the traditional face off that has become almost a cliché in combat sports. Despite the lack of a menacing face-to-face photo op, there’s plenty of animosity between the two fighters. For the most part, this has consisted of GGG lobbing accusations while Alvarez has been forced to play defense. First, there’s the fact that Alvarez failed two drug tests earlier this year, which caused the cancellation of a scheduled May 5 fight with Golovkin. The Mexican tested positive for clenbuterol, a performance-enhancing drug that he says he picked up from contaminated meat in his home country. It’s a line of reasoning that was accepted by the Nevada State Athletic Commission, which gave him only a minimal six-month suspension for the positive tests, but one which Golovkin has consistently rejected. Golovkin has also criticized his opponent’s tactics in the first fight, saying that Alvarez ran rather than standing and fighting. 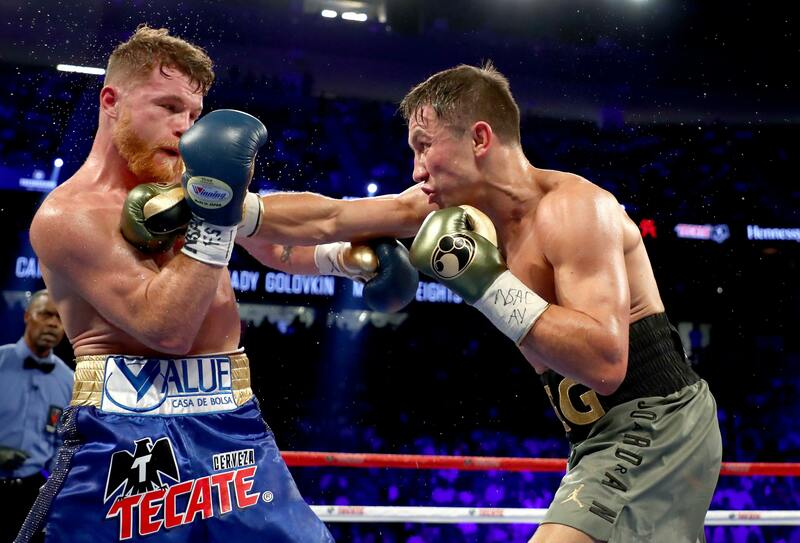 Alvarez told reporters that he’s using the comments from Golovkin’s camp as motivation for the rematch.